Amazon hiking its minimum wage to $15 per hour – a "feel good" story that was praised by everybody and that even brought enemies like Donald Trump and Bernie Sanders together – appears to be nothing more than another self-serving ploy by the world's largest online retailer to not only bolster its staff for the holiday season, but to prevent potential part-time holiday laborers from going to the competition. 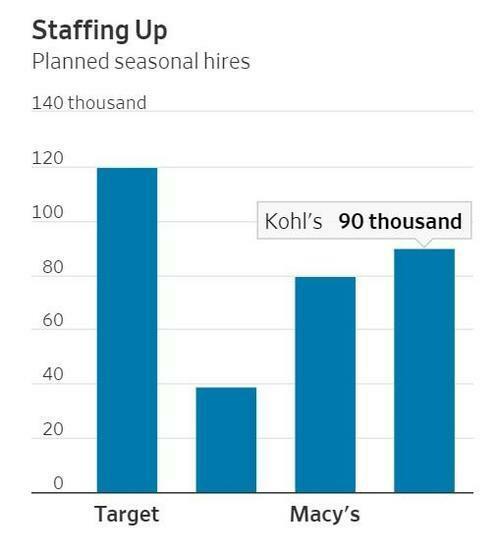 According to the Wall Street Journal, companies like Kohl’s and JCPenney had started to do their holiday and seasonal hiring months before they usually do this year in anticipation of record sales - and record competition. The needs of these retail companies, including online retailers like Amazon and its direct competitors, have grown substantially: Target for instance, is hiring 20% more workers than last year and is looking to bring on 120,000 total seasonal workers. 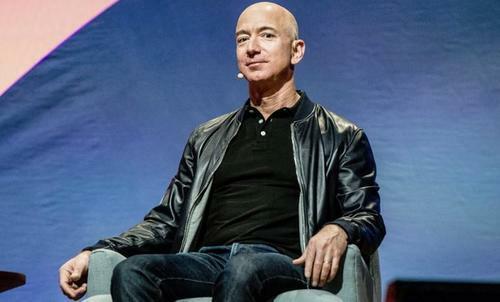 Amazon's new wages will take effect on November 1 – just in time for the holiday season- as Target and Walmart have failed to keep up with Amazon's pay floor. Target offers its employees $12 per hour, while Walmart recently bumped its minimum wage up to $11 per hour. For those looking to take on additional work this season, that makes the decision to work in Amazon's warehouse a very simple one. James Bohnaker, a director at IHS Markit, told the Journal: "Brick and mortar retailers need quality employees to differentiate themselves from purely online shopping. If consumers can’t find helpful staff at stores or, worse, a shortage of staff makes in-store shopping a nightmare, brick and mortar retailers can expect to lose traffic." So while the world stops to praise Amazon for its altruism, its important to remember that this is simply yet another masterful PR trick by Jeff Bezos: garnering tons of free publicity and praise for doing the "right thing", while at the same time preparing his company for a record-breaking holiday season and doing what Amazon does best: hurting the competition.